In 2012, the head of the US Department of State Hillary Clinton went to the Czech Republic, where she heavily lobbied the US company Westinghouse as a potential builder and operator of two new reactors at the Temelin NPP. After the deal with the Czechs (with active assistance of Washington), Westinghouse signed a contract with the Bulgarian government to build a new AP1000 reactor at the nuclear power plant in Kozloduy. In 2014, Kiev signed an agreement on the replacement of usual Russian fuel in Ukrainian nuclear power plants with US analogues produced by Westinghouse. 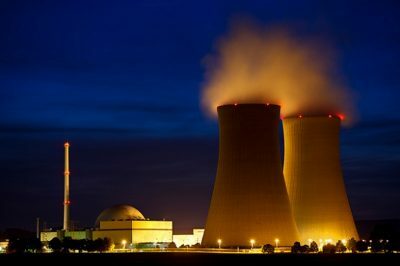 Ukrainian nuclear power plants are not going through their best period of development and are already working on the brink of their capabilities. The question of their repair and modernization in Kiev has yet to be discussed. The nuclear industry in Ukraine is in a dangerous state, and the risk of an incident like the Chernobyl tragedy is much higher than is commonly believed, the Washington Times reported. ‘This is bigger than just Ukraine alone. The future of Europe is at stake,’ the newspaper states. However, even the prospect of a Chernobyl-like tragedy does not serve to make the Ukrainian leadership wary of its actions. “Westinghouse is more than a brand name American power company. It’s a battering ram used by Washington to promote energy security,” Forbes writes. The source of the publication, who preferred to remain anonymous, claimed that Westinghouse is seeking to get a share in the fuel services market in Eastern Europe, since this is the only way to prevent the bankruptcy of this company.